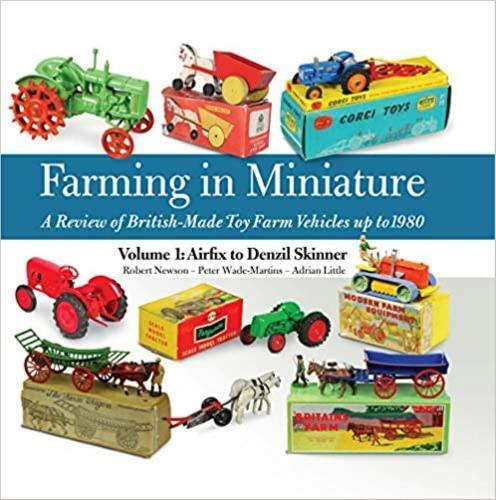 This is the first volume in a new two-volume work which will be the first to present the full range of British farm toy manufacturers up to 1980. Together, the two volumes deal in detail with 67 manufacturers and brands, arranged alphabetically from Airfix to Wend-al. Together, as a catalogue of British-made toy farm vehicles, the two volumes serve as a detailed guide for collectors, while still holding interest for the non-specialist. Evoking nostalgia for the toys of our youth, the abundance of photos demonstrate the fantastic output of British toy manufacturers during the twentieth century. With notable brands in this first volume including Britains and Corgi, the scope of subject-matter runs from horses and carts to farm tractors and machinery, and processes include early cast metal, zinc die-casting, tinplate and plastics. Over 2,000 photos across the two volumes attempt to illustrate all significant variations of colour and packaging, particularly of rare and unusual models, making the books as comprehensive as possible. Each brand's history is clearly described, and brief captions describe the features of the models. A glossary and indexes will be included in Volume 2, which is due to be published in 2014.